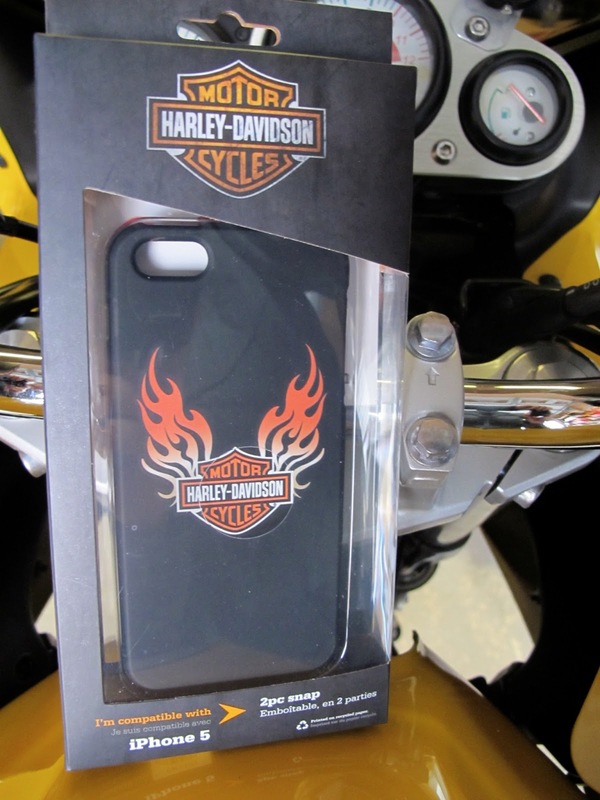 You're a motorcyclist, specifically a Harley rider, and you're a cell phone user, so why not both protect your expensive phone and represent your brand at the same time? Even though I've never owned a Harley, I've been using the $24.99 Fuse officially-licensed snap-on Harley-Davidson case for over a month on my iPhone 5, and can recommend it highly. For me, product packaging makes a huge initial impression, so I was very pleased indeed to find that the Fuse's retail packaging was not only very protective, it only required snipping two small tapes to open. The case itself is a two-piece affair, constructed of what I'm guessing is a rubberized poly-carbonate frame. Finish on the case is excellent, and the H-D "flaming logo" is clear with great coloration and precise edges. Though there were no directions included for installing the two-piece case, it was so evident that anyone requiring directions probably shouldn't be operating a motorcycle: the front and back pieces clamp on to the phone faster than it took you to read this sentence. The fit between the two pieces is precise and once installed, the case is not going to come apart until you want it to. Fuse thoughtfully included a notch (perhaps for a coin) to aid in parting the halves for those times when the case needs to be removed. I tried it and the case parted without drama or damage. 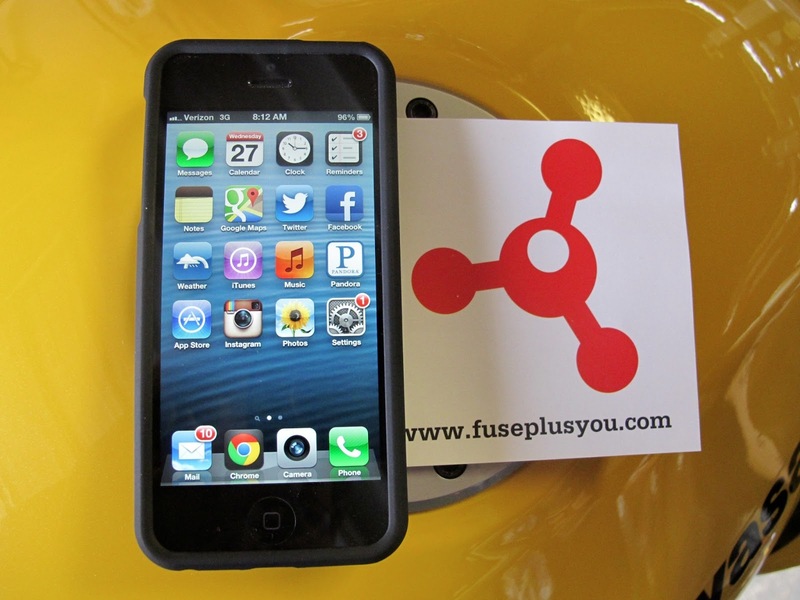 The Fuse case adds negligible bulk to the iPhone, and the rubberized coating provides a much more secure grip than uncoated hard plastic cases or the naked phone. It's not cushioned, but the lip of the top half of the case rises higher than the surface of the screen, so the screen is protected if the phone if set screen-side down on an abrasive/dirty surface. 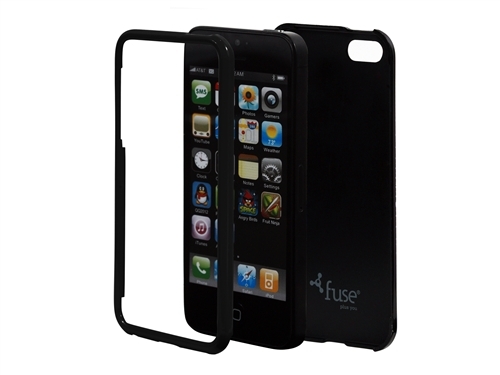 The Fuse doesn't incorporate a cover for the screen, so you'll need to add one if desired. To me, that's a plus because built-in screen covers notoriously interfere to varying degrees with the user interface. Phone cases are always a compromise between size, accessibility and protective capabilities, and the Fuse isn't aimed at folks who want the impact, dust-proof and water-proof capabilities (and are willing to put up with the huge size) of say, an Otter Box. While riding, a phone in the Fuse case needs to be kept in a secure jacket pocket or in a tank bag, etc., better if it's a waterproof location. (I always carry small waterproof kayaking-type bags (Lok-Sak brand) when I ride, and I also keep a small waterproof Pelican case in my tank bag.) I think its useful to think of the Fuse case as more of a "grip" which lessens the chance of a drop, while still providing some degree of protection from impacts and screen scratching should it get fumbled. Believe it or not, many cases interfere with phone functions. The Fuse is free of such problems, with all ports remaining open and all buttons free and easy to operate. I shot a few photographs, with and without flash, and found no ill effects of the type caused by some case designs that have insufficiently-sized lens windows or that cause interference with sensors or the flash. The case has also proved durable; it still looks new, without a scratch or scuff, and most importantly, it has totally protected by precious iPhone 5 from life's (and motorcycling's) perils.